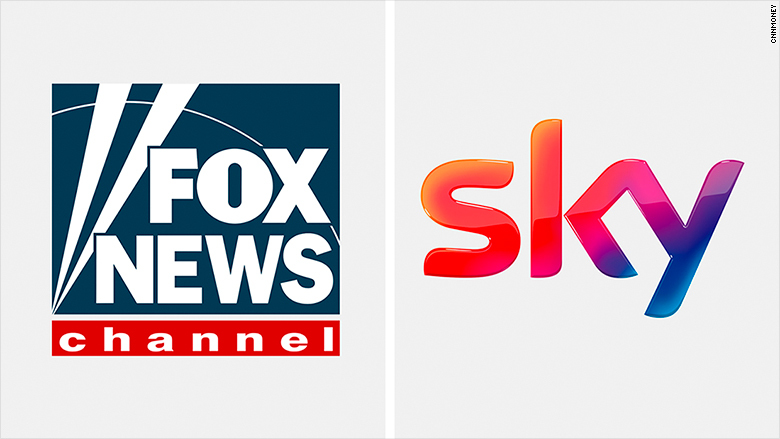 21st Century Fox is increasing its commitment to an independent Sky News as a deadline nears for a UK regulator's decision regarding Fox's proposed takeover of the satellite broadcaster. The Competitions and Markets Authority advised last month that the UK government block 21st Century Fox's bid to take over the remaining 61% of Sky it does not already own because it would give one family -- the Murdochs -- too much control over media in the UK. Earlier this month, 21st Century Fox offered some remedies to alleviate the CMA's fears of the Murdochs' influence, including appointing a board to oversee Sky News and a commitment to fund the news service for five years. 21st Century Fox on Monday upped that commitment to ten years instead of five. In a letter addressed to the CMA, Fox's lawyers from Allen & Overy laid out five other points to address the regulator's concerns. One of the "remedies" says that the board could nominate its own head of Sky News should the need for a replacement arise. Additionally, 21st Century Fox said the Sky News board would be required "on an annual basis to prepare a statement confirming that no instances of influence or attempted influence of the editorial output of Sky News have been escalated to it by the head of Sky News." Alex DeGroote, a media and internet analyst for Cenkos Securities in London who has studied Sky and the U.K. media landscape for 15 years, said Monday's letter shows 21st Century Fox is willing to do anything to get the deal through. "It signals real determination on the part of Fox and the Murdochs to get the CMA to consent to the deal," DeGroote said. The rapid turnaround between last week's proposed remedies and the letter published on Tuesday indicates lawyers for both UK regulators and 21st Century Fox have been discussing the issue behind the scenes, DeGroote said. "[The Murdochs] are looking for the green light," DeGroote said. "So they will to some extent listen to the guidance given and do what they need to do to get the deal over the line." Critics, including Labour Party politician Ed Miliband, have disputed the idea that Sky could be wholly independent under Fox. The Murdochs, Milliband said in a tweet last week, would "still appoint the Board, they decide the budget, they decide the strategy and Sky News is a division of Fox. Nobody should be taken in." Playing out in the background is Disney's announcement last year that they plan to buy portions of 21st Century Fox -- including the 39% of Sky that Fox currently owns. Though the CMA indicated they would have less concerns with Disney owning Sky, they are continuing with their inquiry by focusing solely on the 21st Century Fox ownership, regardless of the outcome of the Disney deal. This week's offer, DeGroote said, makes it even more likely CMA will give a green light in May when it issues a final recommendation to the UK culture secretary, who will then rule in June as to whether the deal will be approved.